We do all the accounting, so you can grow your eCommerce business. Be on top of your business. Know who owes you at any time. Be ready for tax time with all documents in one place. Pay minimal legal tax by claiming maximum deductions. Tax time takes days, not weeks. 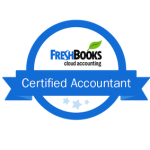 Implement accounting systems that suit your business. Embrace the latest fintech apps that will make your life easier. Know where the money is coming from. Understand the expense leaks and spending trends using visual analysis. Pay your staff in minutes, not in days. Send all necessary payroll deductions to the CRA on time. Starting solo, building a partnership or opening a corporation? We can help you start off the right foot. Be a hero to your customers and let us do the accounting work. Get to the top by doing what you are doing best. Our services are designed to liberate you and your team from any number-crunching and paperwork. We are experts in building relationships and making numbers work for eCommerce sellers. We work with Amazon Sellers and help them manage their day-to-day, so they can get back to serving their customers. 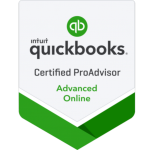 We take over daily accounting, inventory management, payroll, and complex tax prep. Let us do all the accounting leg work while you are building your Amazon storefront. We are proud to work with Shopify store owners at any stage of business, from startups to multi-million stores. We specialize in seller-friendly financial statements, integrating cloud technology, streamlining your document processes and much more! We work with other online store owners from a variety of platforms. Whether they are manufacturing, selling or drop shipping their products, we help them stay organized and compliant with all the relevant tax laws. We get all the paperwork done while they grow their e-commerce businesses. Communicate with the speed of light with your CPA from any place in Canada. Thanks to technology collaboration and client meetings have never been easier. No need to pay for fancy offices and mahogany desks. The information is shared instantly using web applications. Digitized processes allow us to serve your accounting needs instantly. Gone are the days when you travel through the city to meet your accountant. Don’t waste your time in traffic and waiting lines. Get help and information when you need it the most.